TBILISI, GEORGIA. 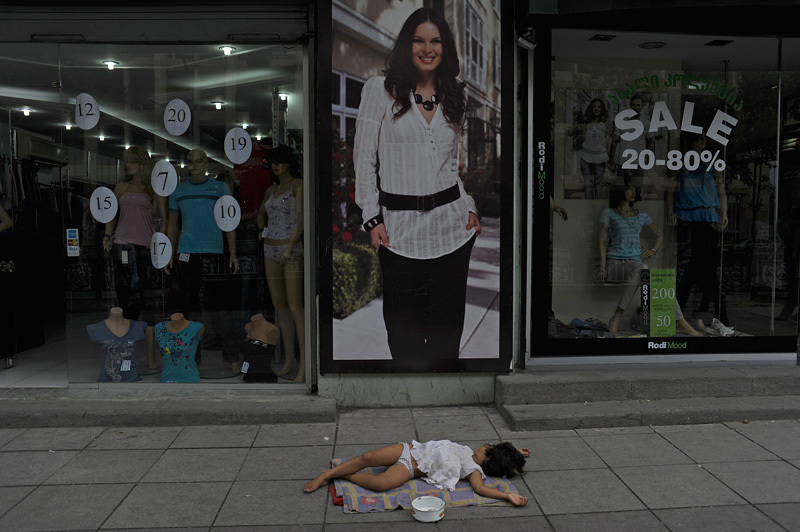 A child beggar sleeps on the street mid-day on Rustaveli Avenue, the main thoroughfare in Tbilisi, Georgia on July 22, 2010. With high unemployment and few economic prospects and lacking the mineral wealth of neighboring oil-rich Azerbaijan, Georgia still finds itself in a state of post-Soviet economic limbo despite receiving approximately $65 million in annual transit fees from having the Baku-Tbilisi-Ceyhan oil pipeline route cross its territory.